Oxford Jewish tour guide takes 90 minutes and leads you through the historic city centre of Oxford showing you many of the medieval Jewish sites giving you a feeling of how the prominent Jewish community lived in Oxford before their expulsion in 1290. You will get to see the site of the medieval Jewish quarter that hosted some very prominent Talmudists, the Synagogue, the original wall that surrounded the Jewish community, the site of the medieval Jewish cemetery, Dead Man’s walk, the site of Jewish homes, and the first Oxford College that was bought from a Jewish landowner. You will also hear about Hagai the Jew of Oxford who was killed for his belief in 1300's. The tour begins at the Slager Jewish student centre, 61 George St at 1pm and ends at 2.30pm. You may visit the Oxford Kosher cafe at the Slager Jewish student centre on George St for tea or lunch before or after the tour. The cost of the tour is £7:50 per adult and children under 12 are free. 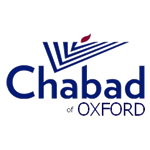 To book a tour, email: info@oxfordchabad.org with your name, contact, desired date and time. For more info, please call 07772 079 940.